Portions of this article were contributed by Cheryl Ortega and Dr. John Fernandez. Los Angeles Parents and Community Protesting Marshall Tuck. Photo by Ron Gochez. 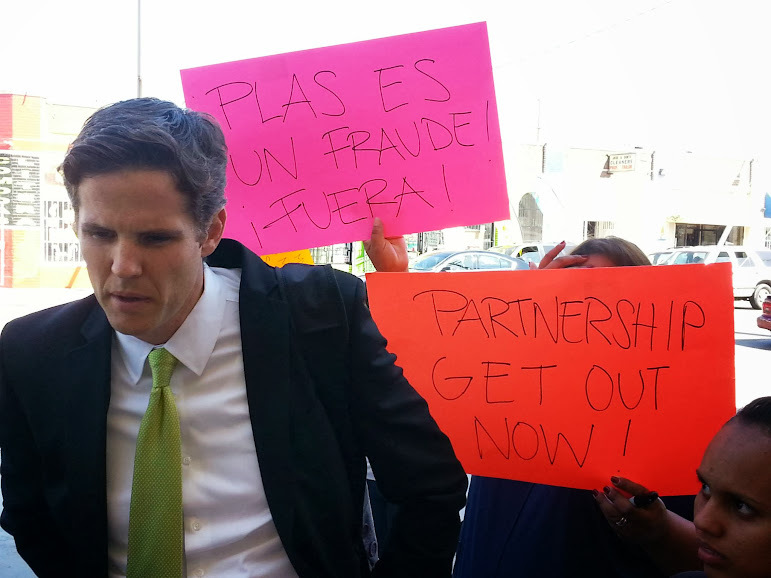 Many of us hoped that when right-wing business banker Marshall Tuck was ignominiously forced to step down as the "CEO" of the Partnership for Los Angeles Schools (PLAS), that we might have heard the last of Tuck altogether. Tragically, the Eli Broad trained neoliberal operative was preparing for a run for California's Superintendent of Public Instruction seat. Despite never having taught a day in his life, nor having any background in pedagogy or child development, Tuck entered the race knowing that he could count on mountains of cash from the corporate education plutocracy aiming to — in words of Tuck's fellow arch-reactionary Grover Norquist — "drown [public education] in the bathtub". The social justice case against Tuck is strong. His racist decision to eliminate Ethnic Studies at Santee High School alone is enough to condemn and convict him from a progressive standpoint. Tuck's bigoted ethnocentrism was also on full display when he shuttered all the heritage language academic programs, and most of the dual language immersion programs in PLAS. His seemingly maniacal hatred of working class people and their labor organizations finds its highest expression in his unabashed support for the Vergara lawsuit, funded by reactionary Silicon Valley millionaire David F. Welch, which is intended to strip teachers of all their hard won rights as workers. Before looking at these more shameful aspects of Tuck's history, it would do well to give a brief background on the corporate favorite. Moreover, it is important to address the prodigious lies he has been telling in order to garner support of voters who don't have the factual wherewithal to vet his statements. The Tuck campaign has been making mendacious claims of school turn arounds, extraordinary test score gains, college readiness for all their graduates, and flat out superior achievement to public schools. Ordinarily one would think that the mainstream media would scrutinize these statements for veracity. However, in this age where the media is owned by same corporations that drive the neoliberal corporate education reform project, not only do we see an obfuscation of facts, we see Tuck's outrageous lies rewarded by endorsements by those selfsame newspapers. Therefore it is important to look at the facts and figures underpinning Tuck's tenure both as the head of Green Dot Public [sic] Schools, and later at PLAS. Before continuing, it's necessary to make the social justice disclaimer about standardized test scores and all the other "achievement" metrics employed by those ruling our society. In a word, standardized tests are both racist and classist. They are far more a measure of socioeconomic advantages, or disadvantages, than anything else. Special needs students and English Language Learners are two of the groups most discriminated against by the testing-industrial-complex. Tests like the Scholastic Achievement Test (SAT) had their origin in the white supremacist and eugenics movements. Further, for those interested in maintaining the dominance of "white supremacist capitalist patriarchy", namely people like Eli Broad, Bill Gates, and the Walton family fortune heirs, treating working class children as empty vessels to receive pre-approved "core knowledge" (think Common Core State Standards) instead of persons with agency is pretty standard fare. Fellow students of Paulo Freire will recognize the allusion to the banking system of education implicit in all corporate reforms. All that said, standardized test scores and their attendent metrics are exactly what neoliberal corporate education reformers like Marshall Tuck have used as a battering ram to push through their agenda of privatizing public education and narrowing the curricula to corporate standards for decades. Therefore, nothing is more fair or appropriate than using the same metrics they employ to destroy public education to illuminate their own track records. The 40-year-old Tuck is a Harvard Business School graduate who has worked as an investment banker for Salomon Brothers and as an executive at Model N, a revenue-management software company. He is a former president of Green Dot Public Schools, a charter school operation in Los Angeles, and later served as the first head of the Partnership for Los Angeles Schools — former Mayor Antonio Villaraigosa's controversial education nonprofit that tried to improve 17 low-performing public schools, with mixed results. A few things to add to the above. First, I know firsthand about the contributions by those "billionaire businessmen" since they spent over a million supporting my opponent in that same election. Second, The Broad Residency, along with The Broad Superintendents Academy, are perhaps the most caustic elements corroding the remaining public commons. The best resource to to become acquainted with Broad's bastions of neoliberal privatization is The Broad Report. So what happens when Eli Broad unleashes one of his MBA investment bankers on the Los Angeles education environment? One of the easiest ways of discerning if privatizers are playing with figures, be it APIs, CAHSEE passage, graduation rates, college placement rates,  etc. is to look at their SAT scores and remediation rates — that is the number of students having to retake high school level courses once they get to college. When public education advocates see such numbers, we typically suspect that an institution has been forcing their teachers to teach to the test (in this case the CSTs and the CAHSEE). 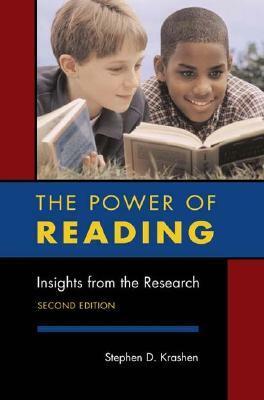 Teaching to the test is tantamount to the Banking Model of Education discussed in Paulo Freire's prodigious work. More to the point, it shows that the obsession with APIs (and the flawed concepts behind the right-wing legislation No Child Child Left Behind and Race to the Top) is wrongheaded at best. 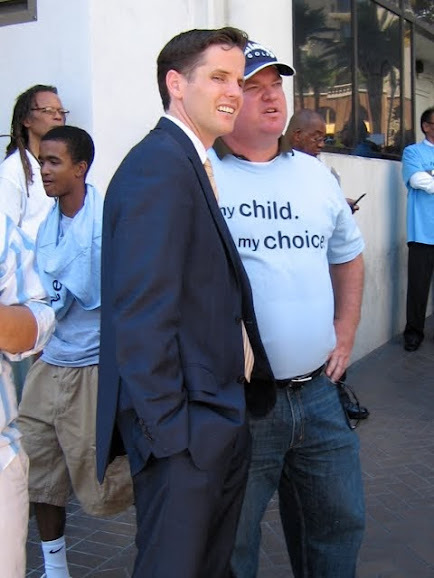 Marshall Tuck attends a Gates Foundation rally for school privatization. Photo by Robert D. Skeels. Animo Inglewood Charter High School's SAT scores under Tuck bear out the dismal showing on the CSU proficiency exams. Cohorts that would have started as Freshmen under Tuck (i.e. years 2002 though 2007) and taking their SAT in the Junior years would span from 2004 to 2010. Here are the Average SAT Composite (Verbal/Math/Writing) scores from 2005 to 2011: 1,153, 1,215, 1,267, 1,172, 1,199, and 1,290. Not once during that span did the percentage of students scoring at least 1,500 ever exceed 19.6 percent. 1,500 is considered the minimum threshold for college readiness. As a frame of reference, the SAT Composite Average for Freshmen accepted to UCLA was 2,052. Again, none of this is to blame or disparage the hard work of those students, but instead to expose Tuck and his ilk's lies about college readiness. "There was this one guy who was so excited he was accepted to San José State University. He was the first in his family to go to college. I think they started in late August. By November he was back. He had dropped out. He said it was too hard, and that he felt like all the people at Green Dot had lied to him. I talked to him for a while. He started crying. He said I was the first man besides his Dad that he had ever cried in front of. He didn't know what he was going to do next." Another longstanding myth of corporate education reform is that of the "school turn around" in which a struggling school is miraculously changed overnight by a privately managed entity like Green Dot. Tuck's campaign literature claims he has a "proven record of…turning around failing schools". Neither Tuck, nor Green Dot, nor Green Dot founder Steve Barr have ever turned around a school. The tentative example Tuck could try to claim (even though he had already moved to PLAS) is Green Dot's hostile takeover of Alain Leroy Locke High School, but their astonishing CSU remediation rates and rock bottom SAT scores belie claims of "turn around." The Examiner pointed out that most of the media stopped cheerleading the Locke story because the numbers they fetishize, and last year a Green Dot insider exposed how their corporate culture of competition has been rotting Locke from the inside out ever since it was seized. We're a long way from when Arne Duncan told Green Dot's Steve Barr that they had "cracked the code". In fact Barr's latest attempt (via Green Dot spin-off Future is Now Schools) to turnaround New Orleans' John McDonogh High School was an abject failure, leading charter friendly officials to shut it down. Let's be clear. It is a reactionary idea to use the flawed market model of opening and closing schools, and it does incalculable damage to the students, community, and public education as a whole. Rather than letting the wealthy white Tuck and his corporate cabal to continue to experiment on our students, there needs to be a demand to dedicate the proper resources to our schools and our communities. Tuck and his fellow reformers refuse to acknowledge (and hence address) poverty as the root cause of problems in our schools. Instead, when faced with the fact that their ideas have failed, they double down on those failed ideas. Using authoritative sources from the State of California I created a comprehensive table of CSU remediation, drop out, and SAT composite averages for the "Founding Five" Green Dot schools Tuck oversaw. On the one hand these figures are unequivocal proof that Marshall Tuck is lying about "proven record of increasing graduation rates, improving student achievement, and turning around failing schools." On the other hand they show how much work we have as a society to address the bitter legacies of racism and oppression, both of which have been exacerbated by private sector organizations like charter schools. PLAS is a somewhat different animal than Green Dot. The story of how PLAS was formed is chronicled in Villaraigosa: The Myth of The Progressive Mayor. Unlike Green Dot, PLAS are public schools, which means they have to follow the education code, don't have an enrollment limit, can't deny students admissions based on their disabilities (Green Dot, like most CMOs, screens applicants for Individual Education Plans—IEP) or their language abilities. PLAS schools also have fully credentialed, unionized teaching forces. These differences are very important, as PLAS can't pick and choose their students like Green Dot and the other charters do. On the other hand, just like the charters, PLAS is a completely top down organization. The unelected PLAS Board and its heavy handed administrators do not collaborate with the community, families, teachers, or students at PLAS schools. Tuck's top executives: Doc Ervin and Angela Bass, made sure that any and all dissent towards their wrongheaded policies was silenced. That hasn't changed since Joan Sullivan replaced Tuck. This corporate culture consisting of non-collaboration and non-cooperation saw PLAS schools struggle in comparison to other Los Angeles Unified School District (LAUSD) public schools, that, like the Los Angeles Times quote above mentions, did better overall. In fact, the Tuck managed PLAS high school exhibited the same CSU remediation, CSU drop out rates, and low SAT Composite scores as all his other schools. Aside from abject poverty — which Tuck and his fellow reformers vociferously (and wrongly) argue doesn't matter — the common denominator at all these schools was Marshall Tuck sitting at the top of their management hierarchy. It isn't just secondary schools that bear the hallmark of Tuck's failed policies and negligible administrative abilities, he was equally incompetent with primary and middle schools. Markham Middle School, whose parents recently announced they would protest school-to-prison-pipeline policies implemented by Tuck when he was still at PLAS, struggled mightily under the business banker. ...although this article is mainly about the many broken promises of Antonio Villaraigosa, it is yet another clear example of why Marshall Tuck should be defeated in his foolish attempt to become the state Superintendent of Public Instruction. This article clearly proves how RHS parents have been left out of the decision making process at Roosevelt and it demonstrates the absurdity of Tuck's decision to break up Roosevelt into seven schools. That decision was a disaster. Now RHS is back to one comprehensive campus, a magnet school and a satellite school as the result of community pressure. However, ESP, the satellite school, will be closed for lack of students. The Partnership and Monica Garcia have decided to eliminate ESP against strong parental and student support. Tuck's idea behind breaking Roosevelt into small schools was that smaller was better. 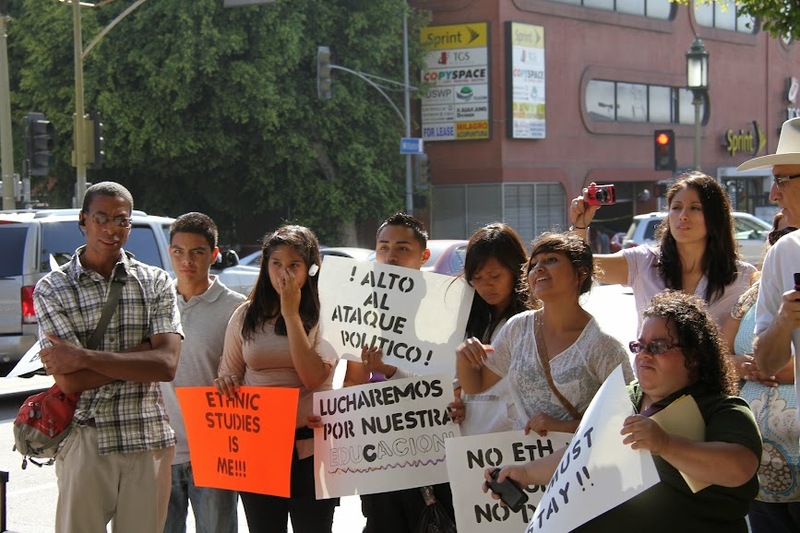 This decision has resulted in low standardized test scores, the elimination of dozens of classes and teachers, and has left RHS with a curriculum that deprives RHS students of remediation, vocational and technical classes, and culturally relevant classes, including not offering Core classes in Spanish to ELL students. I have no problem with RHS students being offered college bound classes, but the curriculum at RHS must be flexible enough to accommodate a variety of student needs and able to improve the basic skills of RHS students. Roosevelt High School has been completely gutted by Tuck and PLAS. RHS has gone from one extreme of having 5000 students to 2,800 and to another extreme of having 245 teachers to about 125. PLAS administrators say it is because students are going to charter schools. But, I believe that RHS students who lack credits are being pushed out. This article has a link to EPG, please log on to it for another interesting piece where the "education Mayor" Antonio Villlaraigosa is jammed by teachers. Dr. Ferndandez published two documents entitled Why The PLAS Experiment Must End At Roosevelt High School Part I and Part II. The first document in particular chronicles the many missteps that non-educator Tuck and his inept staff made. An interesting passage ends Ferndandez's second document: "Just as in football, when your team continues to lose you get rid of the head coach and his staff. Therefore the Roosevelt teachers, parents, and students have one thing to say to you Mr. CEO…" Oddly, the neoliberal corporate reformers espouse those same sentiments for everyone except themselves. Students Protesting Marshall Tuck's racist decision to kill Ethnic Studies. Photo by Robert D. Skeels. I became acquainted with Mr. Tuck in 2008, the first year of the rollout out of PLAS. As Director of Bilingual Education for UTLA, I had received a call from some teachers at Ritter Elementary School in Watts concerned that their Dual Language Program would be closed down by order of PLAS's Tuck. He, Angela Bass and Doc Ervin, all PLAS officials, had determined to close the program because of supposed low test scores. In fact, there was only a single year of test scores to consider. Ritter, a school in historically African-American Watts, was 75% Hispanic. The English-speaking students in the Dual Language Program were all African-American. The teachers, parents and students of Ritter, supported by UTLA, held at least 2 demonstrations outside of the school in support of the language programs. That led Tuck to bring in police to disperse the crowd, and later some "experts" from San Diego" whose incredible lack of knowledge and expertise in the realm of language learning was astonishing. These experts led a presentation on the detrimental aspects of Dual Language Learning. This was in spite of a huge body of research supporting, as researchers, Viginia Colliers and Wayne Thomas state, " The amazing benefits of dual language education." The program was closed at the end of the year with Vice Principal, Ricardo Ruiz, under the direction of Marshall Tuck, telling the African-American students that Dual Language was not for them. In the following year, we witnessed Spanish language signage on the campus disappear. Bilingual restrooms, parent center, nurses office signs were all replaced with English-only signs. Marshall Tuck was equally responsible for removing the renowned Academic English Mastery Program (AEMP) at Ritter, a program with a nation-wide reputation for addressing the needs of Standard English Learners. At the end of the year a vote was taken at Ritter, along with the other 9 PLAS schools to determine the staff's willingness to continue as a Mayor's school. As reported to me by teachers, a ballot box was put in the teachers' lounge. Teachers cast their ballots with no one supervising the box. At the end of the day, the votes were counted by the principal in private and the results were announced. Ritter voted to stay with PLAS. It was the only one of the, then 10, PLAS schools to do so. Removing the two most successful language programs in the nation from Ritter Elementary, a chronically underserved elementary school. Creating heightened hostility between the Hispanic and the African-American communities, or, at least, failing to diminish that hostility by having children and parents have common language goals. Tampering with the faculty voting process. It's disturbing that someone so profoundly unqualified for this office — one that requires familiarity with academic instruction — is even in the running, but that's the power of plutocracy. Billionaire Eli Broad's dystopian vision in which his trained MBAs dismantle our public school systems from the inside-out would certainly get a huge boost if one of his acolytes was able to seize the State Superintendent of Instruction position. Tuck's dismal (even that word is too kind) record of running schools would certainly play into the wider goals of neoliberalism and privatization. Moreover, we've seen that all the claims on Tuck's campaign website are patently false. He does, however, have a "proven record". Tuck's proven record is one of incompetence, arrogance, failing to provide students with an equitable education, failure to listen to stakeholders, and of outright racism. Hopefully voters on June 3, 2014 will see through all Tuck's well financed lies and remember his abject legacy of bigotry and failure. Thank you for this in-depth expose. 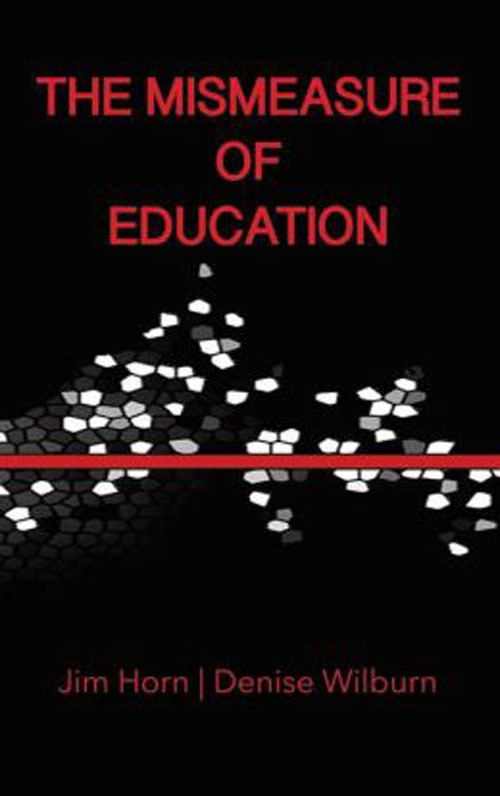 A good resource for understanding the history of Green Dot is Mercedes Schneider's book "A Chronicle of Echoes: Who's Who in the Implosion of American Public Education". 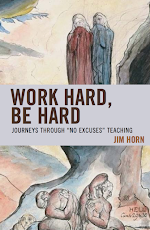 In Chapter 20 she shows all of the connections of the corporate reform organizations connected with Green Dot, Parent Revolution (champion of the faltering Parent Trigger) and the Broad Foundation. 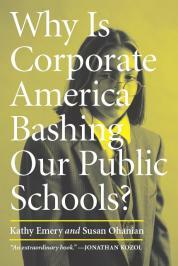 Understanding the connections between the corporate ed reformers is vital to grasping what is going on. Thank you Mr. Derstine. I'll be sure to read Ms. Schneider's book sometime in the future. Bear in mind that as an Angeleno I have had a front row seat to to all of the entities that you mention above. We've done a good job here at Schools Matter showing many of those connections as well. This discussion implies that somebody is suited to dictate to local schools in regard to curriculum and instruction practices... obviously Marshall Tuck is not that person; however, I suggest we rethink our accepted premise and consider abolishing the position of State Superintendent of Schools. The the dismantling of bureaucracy and the associated dollars spent would be a giant step toward restoring local control of schools to the communities that the schools were built to serve. Tear down the fences! Make public schools a gathering place for communities once again, and let people live their own lives.